Completely solid-state design with no moving parts for very high measurement speed and long term reliability. Comprehensive selection of standard and optional industrial communications interfaces. Optional integrated PI feedback controller for controlling extruders or capstan drives on insulation lines. Optional integrated lump and neck flaw detection capability (SMFD – Single Measurement Flaw Detection). Optional integrated fast Fourier transform (FFT), statistical analysis and Statistical Process Control (SPC) functions available. 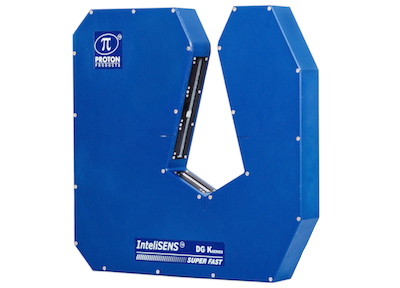 Proton Products InteliSENS® DG-k series dual and triple-axis diameter gauges are super fast, with scan rates of 1000 to 10,000 scans/second/axis, providing outstanding product quality supervision. Using LED light sources, high-speed Digital Signal Processing (DSP) and specialized optical design to measure, control, inspect, alarm and report diameter as well as Surface Quality Defects (SQD) as they happen, reducing customer complaints and improving your reputation as a quality product supplier. The LED light sources cover the complete circumference of the product and any change in the diameter is immediately detected by the CCD optical receiver, measuring, controlling, alarming and reporting the diameter as well as the height, length and location of lumps and necks (if the SMFD option is purchased) along and around the product. 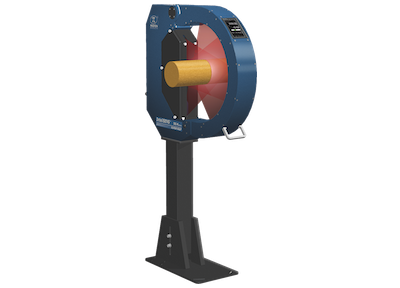 Extremely easy to install, integrate and use, InteliSENS® DG-k Series super fast diameter gauges can be used as a stand-alone device or integrated with production line PLCs. Optional audio/visual alarm units, fault printers and data logging PC software are available to complement the diameter gauge and close the loop on quality control. Applications include production processes such as insulation extrusion and jacketing, wire drawing, quality control during rewinding and coiling, and rubber and plastic extrusion processes for hose, tube and pipe production. 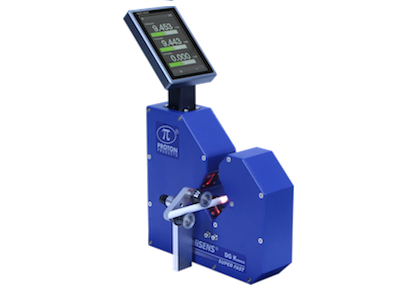 The Proton Products InteliSENS® DG-k series of diameter gauges illuminate each axis of the measured object with light from a LED light source. The measured object obstructs part of the light which is then imaged onto a CCD detector array. Analysis of the pixel data from the CCD yields the object diameter. As this system is entirely solid state, it provides a very fast measurement rate together with the reliability and robustness of a system free from moving parts. The high measurement rate of the InteliSENS® DG-k series also enables it to function as a lump and neck flaw detector at medium line speeds (< 500 m/min) when purchased with the high speed (10k) and SMFD (Single Measurement Flaw Detection) options. * For a < 15mm diameter object centred in the optical gate. Accuracy is ±3μm for a 15 to 30mm diameter object centred in the optical gate. Add an additional 0.05% for objects not centred in the optical gate. * For an object centred in the optical gate. **An optional RS-232-to-USB converter cable is available for connection to USB equipped computers. 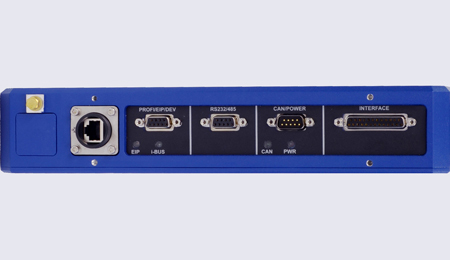 **CAN-bus protocol is proprietary and reserved for connection to other Proton Products equipment such as an AiG2 interface display unit. *Wireless interfaces are not available in units destined for European markets. Click here for information on accessories for the InteliSENS® DG-k Series of diameter gauges.